For the past decade or so, the real estate market in the Greater Boston area has seen a great deal of development and generated even more excitement, and, in few places is this as keenly felt as in Somerville, two miles northwest of the city center. Providing easy access to some of the most prestigious academic institutions in the world, including Harvard and M.I.T., this town provides an ideal balance between more suburban style comfort and worldly, cosmopolitan flair. Residents can keep it local by frequenting the area’s many night spots, culinary destinations and locally owned shops, or simply hop on the MBTA Red Line and have all of Boston at their fingertips. With all of this going for it, it’s no wonder that first time home buyers are increasingly looking to settle in Somerville; luckily, finding that home is easier than ever before with Somervillepads.com, a real estate portal that excels in matching the right buyer with the right owner or real estate agent. How does it do so? With this web portal, users gain access to the most comprehensive and largest database of available listings in the Somerville area. First time home buyers can therefore potentially search through over 3,900 Somerville entries, filtering them based on desired price, space requirements and geographic location. Of course, since Somervillepads.com is so established in the area—and since so many local realtors, real estate professionals and homeowners rely on it—new listings come in every day, so there’s just no way first home buyers won’t find exactly what they’re looking for. While there are other means of searching through and finding listings, this web portal makes sure only to work with well established, local real estate professionals; it is fully invested in Somerville and this local focus makes it especially effective. It’s this dependability and reliability that has caused so many first time buyers to turn to Somervillepads.com for their local real estate needs. While the process of purchasing a new home is a complicated one, it’s also incredibly exciting; Somervillepads.com streamlines the real estate search so that the first time buyer can find the perfect home. There’s no better time to look for property in Somerville, and there’s no easier way to do it than with Somervillepads.com. Before you start shopping for a home to buy, it is important to get an good idea about how much a lender will actually be willing to loan you to purchase your first home. A home buyer’s credit score is among the most important factors when it comes to qualifying for a loan and it is important to see where your credit stands. Pay attention to your utilization rate and try to brign down balances because the lower it is the higher your score will be. You will usually begin this process at least six months before shopping for a home. A bank can lend you either more or less than what you are looking for depending on factors like how much debt you have, monthly income and how long you have been at your current job. The most important factors with affordability is the monthly payment, real estate tax expense, how much insurance will cost, any improvement costs and what the closing cost will be. Once pre-approved, you offer is oftne seen as stronger because you have already secured financing to back the deal. Take advantage of first-time home buyer loans provide by local and national lenders for cost savings with interest rate and special financing for new buyers. Consult with your real estate agent to search for listings both online and driving around the neighborhoods that interest you in search of for-sale signs. Your agent will put together prospective listings based on your criteria and needs to tour as well as provide a comparative analysis report to determine what the value of a home is to make a competitive offer. Once you make an offer and it is accepted, noting that the negotiation process can many times be counter offered by seller, you are ready to close. It is important to obtain a home inspection for the property to determine the quality, safety and overall condition of your potential new home even if it appears to be flawless – there is no substitute for having a trained professional inspect the home. If the home inspection ultimately documents serious defects that the seller did not disclose, you’ll typically be able to rescind your offer and get your deposit back or make another counter-offer to discount the selling price if you choose. If the inspection passes with flying colors or you negotiate with seller, the closing process involves signing a lots of paperwork in a very short time period to finalize the purchase as well as appraisal, insurance, title search, etc. Investing in a home can come with some unexpected expenses so it is important to continue to save and perform regular maintenance to minimize your repair costs by attending to problems quickly and fixing them when they are small and manageable. You may decide to purchase another home in the future and sell you existing home or even invest income property in the future. 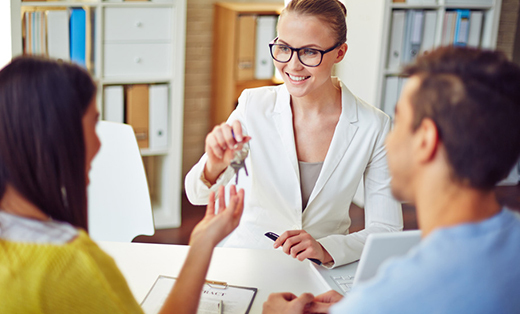 It is important to keep your relationship with a trust local agent to leverage their knowledge of the real estate market as the more you educate yourself about the process beforehand, the less stressful it will be. The market can change rapidly to if you decide to sell you home value only matters at the moment when you sell it and a knowledgable agent can provide you with the analysis tools need to properly value and market your home.